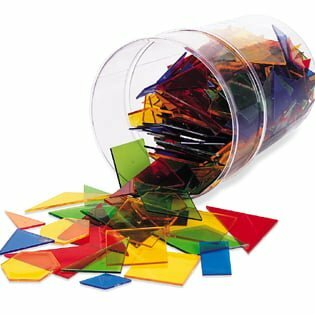 This set of 450 multicolored pieces in 15 shapes (including six traditional Pattern Block shapes) is useful to investigate geometry, perimeter and area, fractions, logic and patterns. The shapes are identified with letters and are made of high-quality translucent plastic. Teacher’s Guide included.